Ask any serious birdwatcher in India about Thattekad Bird Sanctuary. They will tell you that this is a must visit place. Thattekad (also Thattekkad) was long associated with late Dr. Salim Ali, the pioneer ornithologist nicknamed as the birdman of India. Later this sanctuary was officially named as Salim Ali Bird Sanctuary, who was a keen observer familiar with the woods of Thattekkad. Thattekkad came to public view because of his writings. Salim Ali rated this as the richest bird habitat in peninsular India, as good as eastern Himalayas. Thattekad Wildlife Sanctuary is spread over 25 sq kms of forests, wetlands and rivers. There are hundreds of species of birds. The list is ever growing as new birds are added every year. Walk around and you will come across dozens of species of birds. Ashy wood swallow , Black headed oriole , Ash tail, Ashly Drongo, Bronzed drongo, Blue Kingfisher, Bronze winged jacana, Ceylon frogmouth, Crested Woodpecker, Crested Goshawk, Changeable hawk eagle, Chestnut headed bee eater, Coucal, Dollar bird, Emerald Dove, Eurasian golden oriole, Greater raquet tailed drongo, Greater flameback woodpecker, Greenish warbler, Indian swiftlet, Malbar grey hornbill, Malbar trogon, Oriental darter, Plum headed parakeet, Red vented bulbul, Red wattled lapwig, Scarlet minivet, Indian pitta, Jungle babbler, Jungle Myna, Racket tailed Drongo, Malabar Parakeet, Common Myna, Black Cormorant, Whistling Duck, Red Kingfisher, Water Hen, Yellow Oriole, Little Tern, Rufous Woodpecker, Crested eagle, Great reed warbler, Iora, Orange Minivet, Wagtail, Greytit and White breasted woodpecker. This is just a sample list since there is plenty more. In addition to birds, many types of butterflies are also found. The guides here are knowledgeable, passionate birders themselves. Without a guide you will lose big time because they can take you to the best spots. They even know which bird is seen in which spot. That way, the chances to spot rare birds such as Ceylon Frogmouth, Indian Pitta and Malabar Trogon are quite high. Winter (Nov – Feb) is the peak migratory season. Birds from the Himalayas and other parts of the world arrive here during that period. For that reason, that is the best time to visit Thattekad Bird Sanctuary. 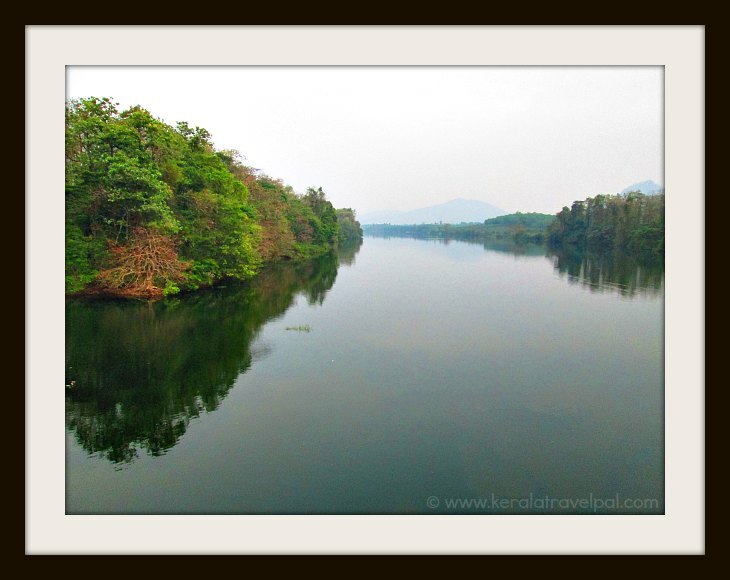 For the mild climate, it is also the best time to visit Kerala. Watch tower inside the forest has basic facilities for twin accommodation. A better option may be the Inspection Bungalow run by the Forest Department of Kerala. IB has a few rooms. They also have dormitory type accommodation, ideal for groups. Up to 50 people can stay in the dorm. There are a couple of home stays run by avid avian lovers. There is Bird Song Homestay by Vinod and Jungle Bird Homestay by Sudha and her son Gireesh. Located within Sanctuary bounds, they are ideal to walk around and sight birds. Their knowledge of which bird can be seen where is invaluable, if you are a birder. The home stays are a good choice even when the sanctuary is shut. Occasionally Thattekad Bird Sanctuary is shut because of elephant wanderings and so on. Birds are not restricted to the sanctuary as the whole wilderness is their home. No need to alter your plans because the sanctuary is shut. With the help of these home stay guys, you can see quite a lot of birds. There are also resorts such as Soma birds resorts, if you want to experience ayurveda along with sightseeing and bird watching. Thattekad is not a tourism hot spot. Only birders seem to appreciate its value. Not a lot of people know that this region is charming enough for a few calming days. There are forests, coconut groves, wetlands and rivers even if you take birds out of the equation. Consider Bhoothathankettu and Nadukani for sightseeing tours. Thattekad is about 54 kms from Cochin. The drive is along Muvattupuzha and Kothamangalam and takes under two hours. Since here are no train services, available public transport is limited to taxis and buses. You will have to take a bus to Muvattupuzha or kothamangalam and to Thattekad Bird Sanctuary thereof. Nearest towns : Kochi at 65 kms, Muvattupuzha at 26 Kms, Kothamangalam at 13 kms and Perumbavoor at 32 Kms. Bus Station: Kothamangalam at 13 kms. Taxi/ Auto-rikshaw Hire: Cochin Town at 65 Km or North Kothamangalam at 13 kms. Railway Station: Aluva Railway Station at 45 kms and Ernakulam Railway Station at 64 kms. Food Options: No restaurants in the Sanctuary. Restaurants at Kothamangalam and Muvattupuzha. Accommodation Options: Inspection Bungalow and Watch tower accommodation within the sanctuary. A couple of home stays and resorts nearby. Best time to visit: October till February. Can be visited throughout the year, heavy monsoon rain (Jun-Aug) can be wet. Nearby Attractions: Nadukani, Bhoothathankettu, Malayattoor, Kodanadu, Kalady, Wellington Island, Bolghatty, Mattanchery, Marine Drive, Kodanad Elephant Training Centre, Athirapally and Vazhachal falls, Fort Kochi, Cochin City (Shopping & Food).